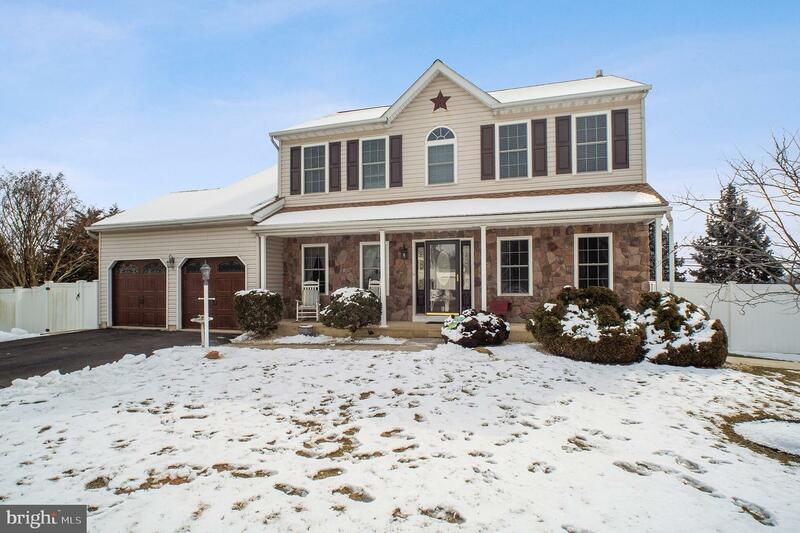 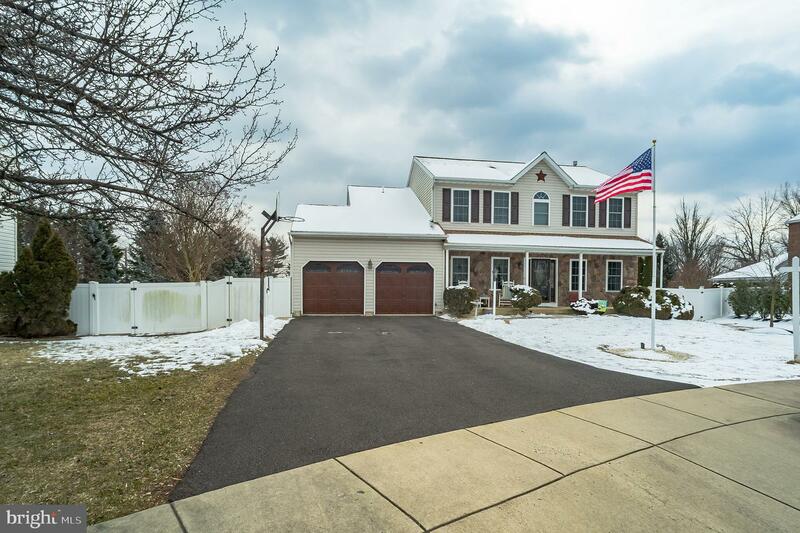 This beautiful 2 story Colonial home welcomes you with excellent curb appeal. 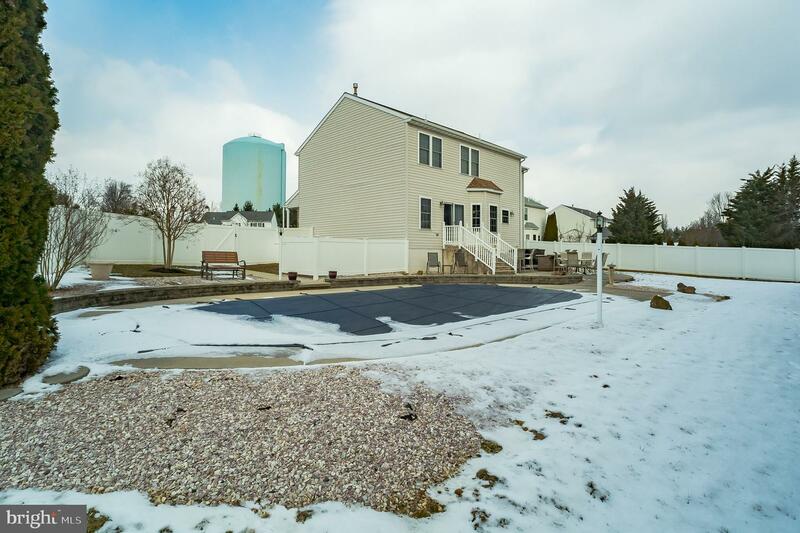 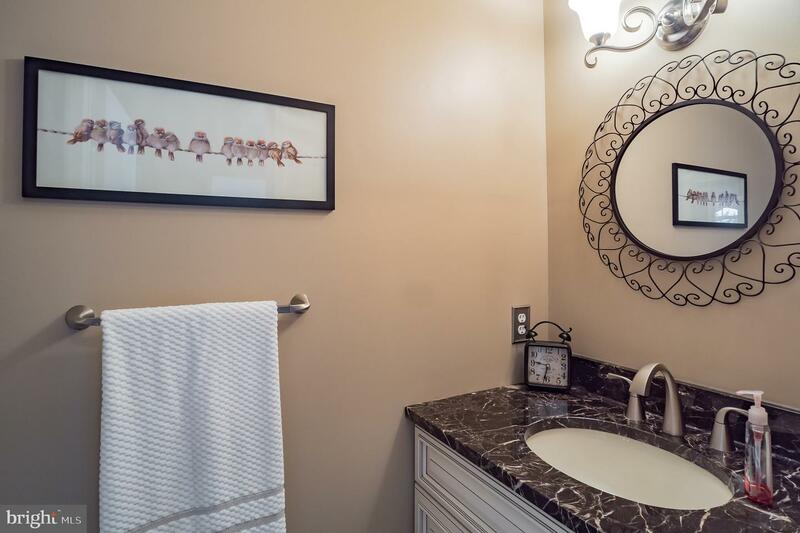 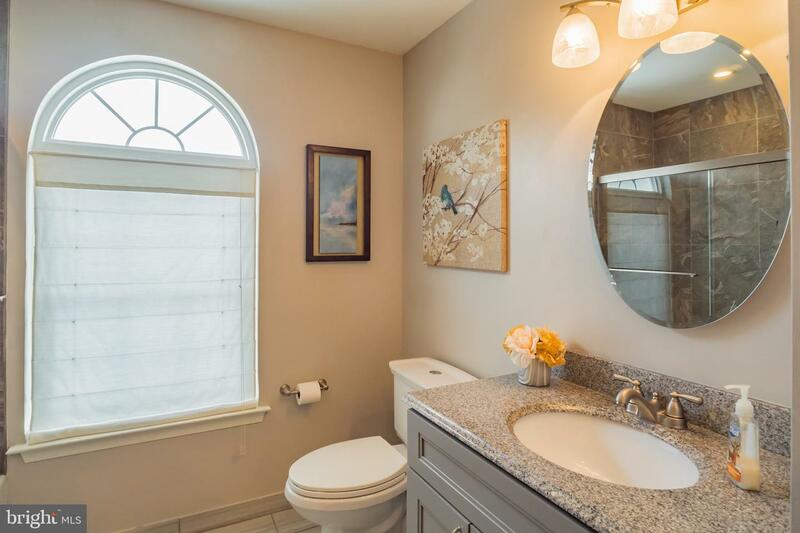 Nicely landscaped along with a bird bath, flag, pole, lamp pole and custom garage, On either side of the home is a recently added cement path that leads to the fenced in back yard. 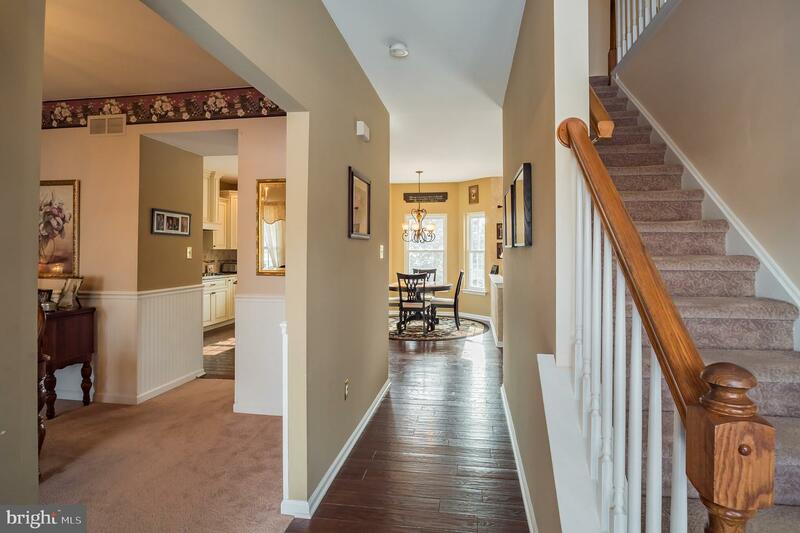 As you enter the front door the pride of ownership is everywhere you look. 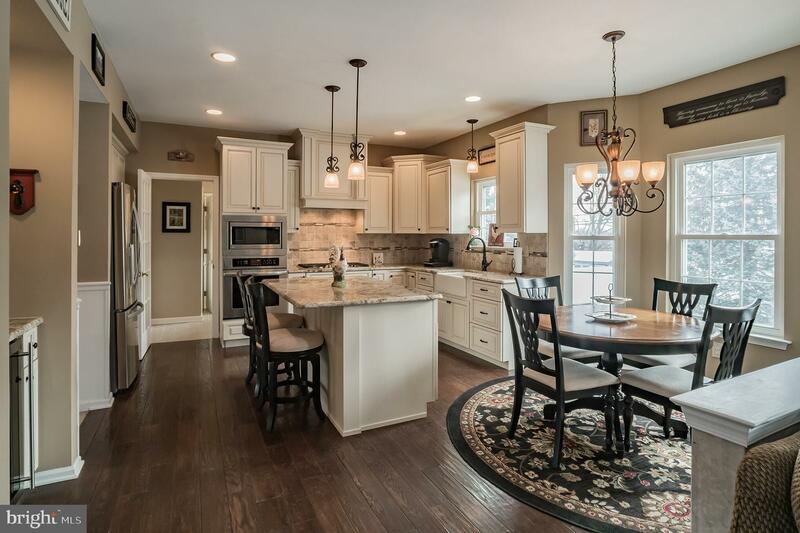 Hardwood flooring is from the foyer into the kitchen and family room. 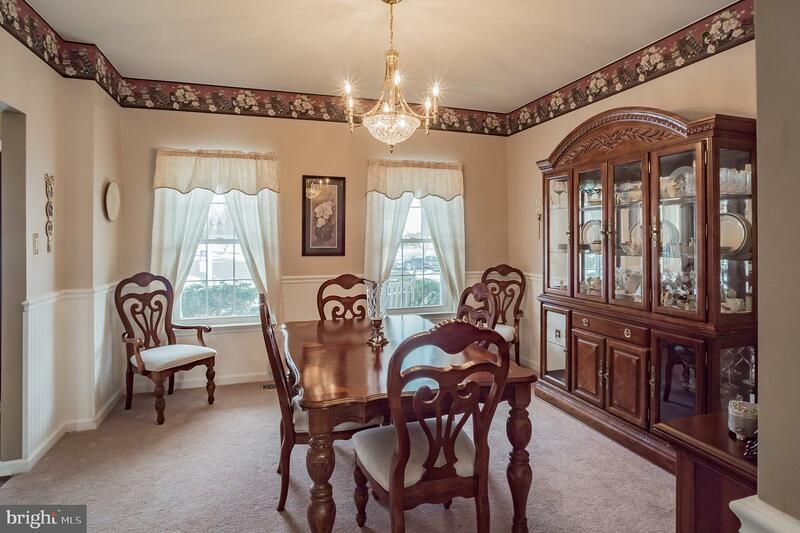 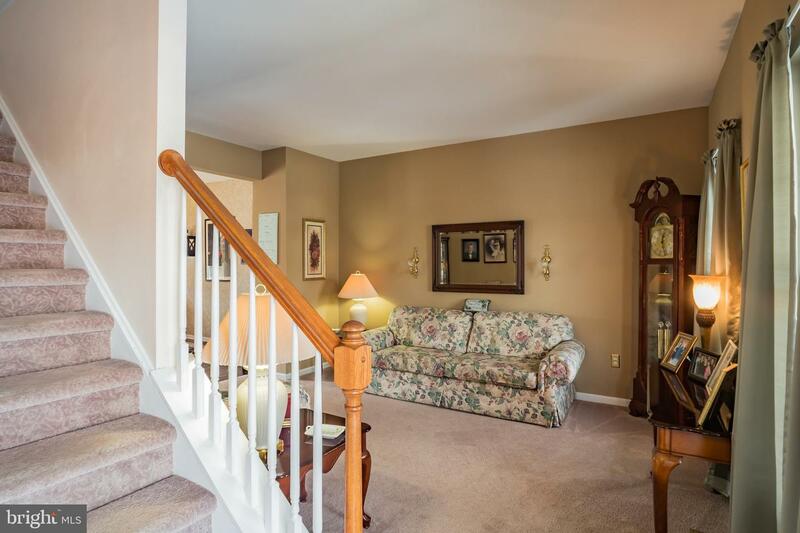 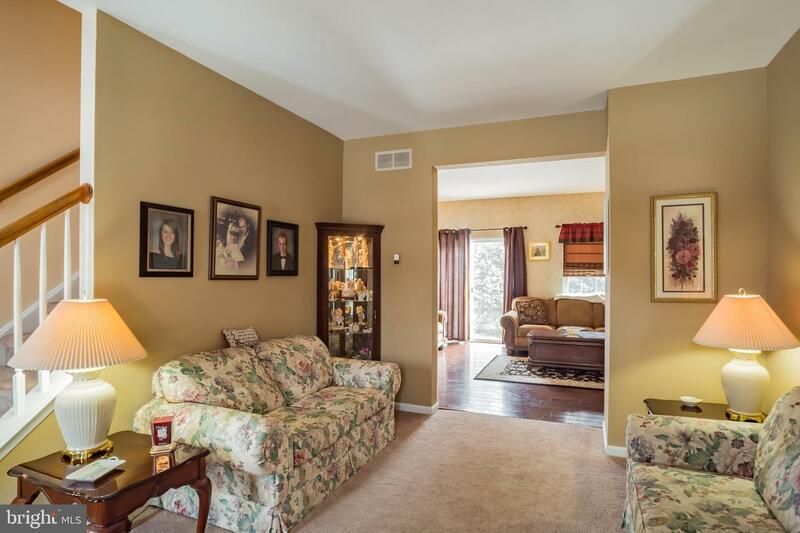 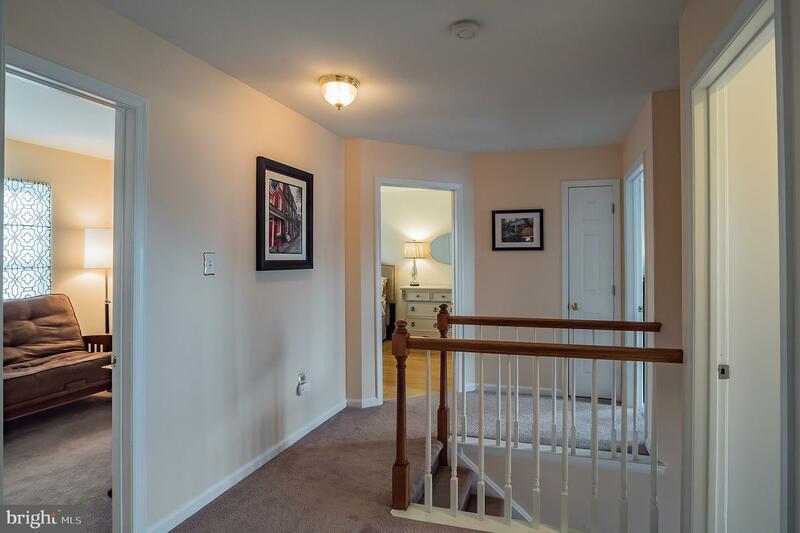 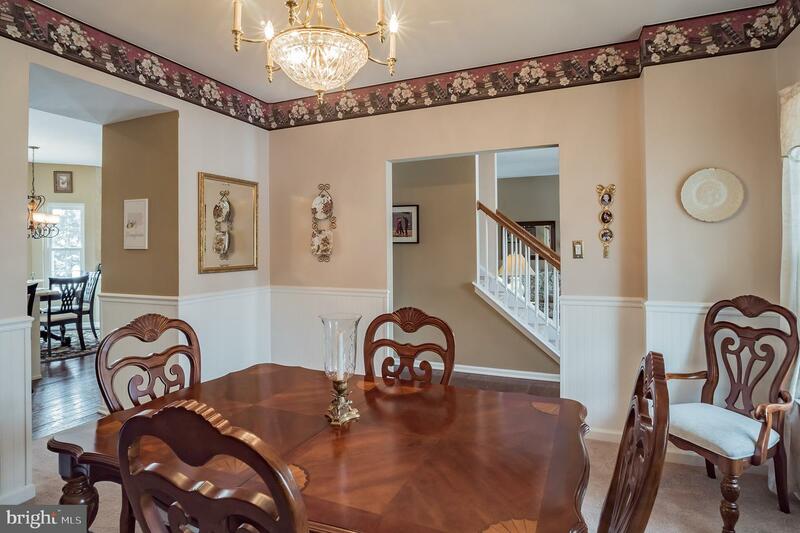 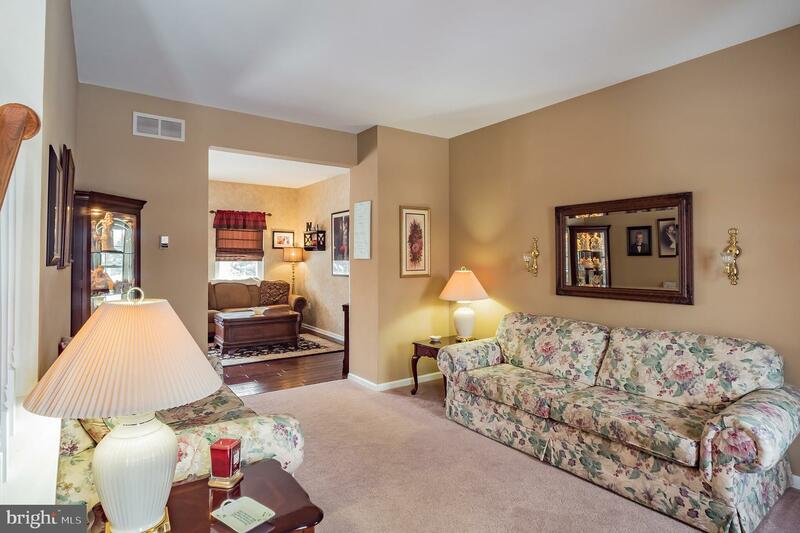 On the right of the foyer is a large living room with newer neutral carpeting, on the left is a formal dining room also with newer carpet and wainscoting. 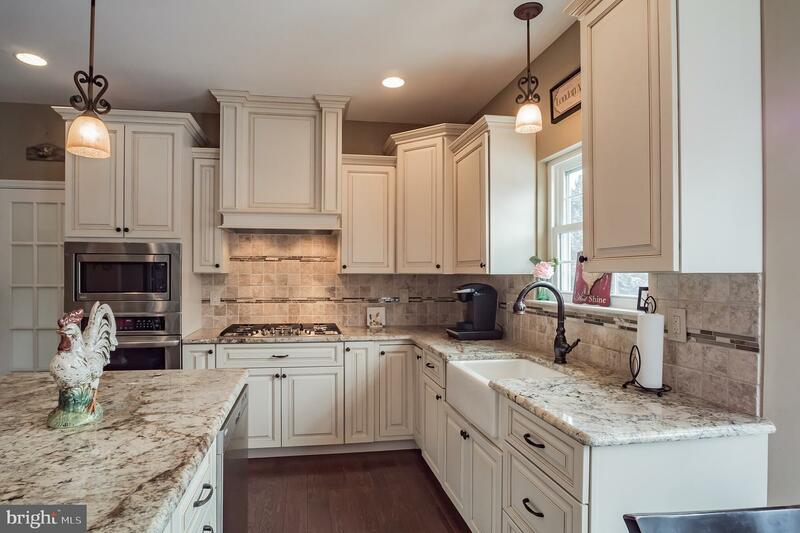 Walk straight through to the gorgeous remolded kitchen with granite counter tops, tiled back splash, stainless steel appliances, recessed lighting, a center island with hanging lights and a wine refrigerator with small bar and wine glass cabinet. 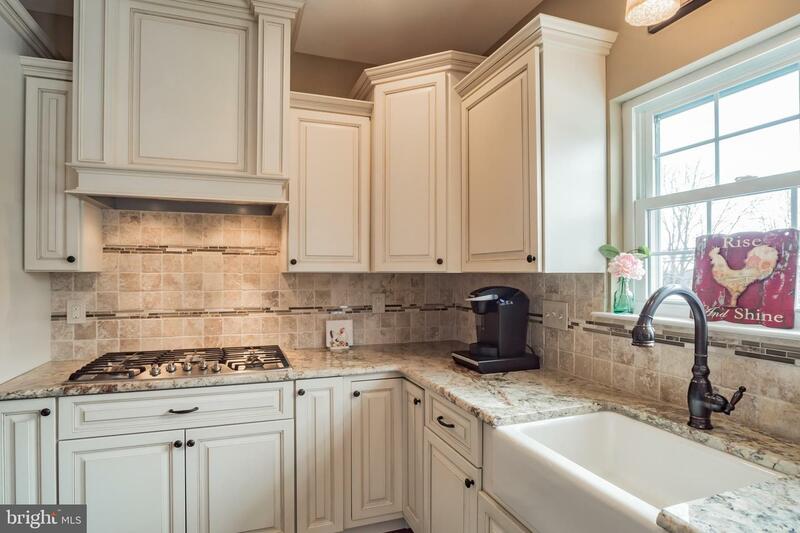 Off the kitchen is the newly finished laundry room and powder room. 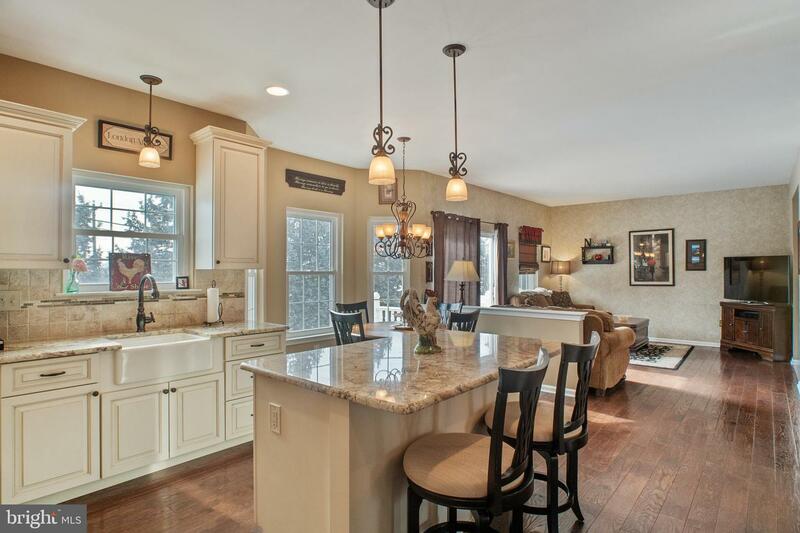 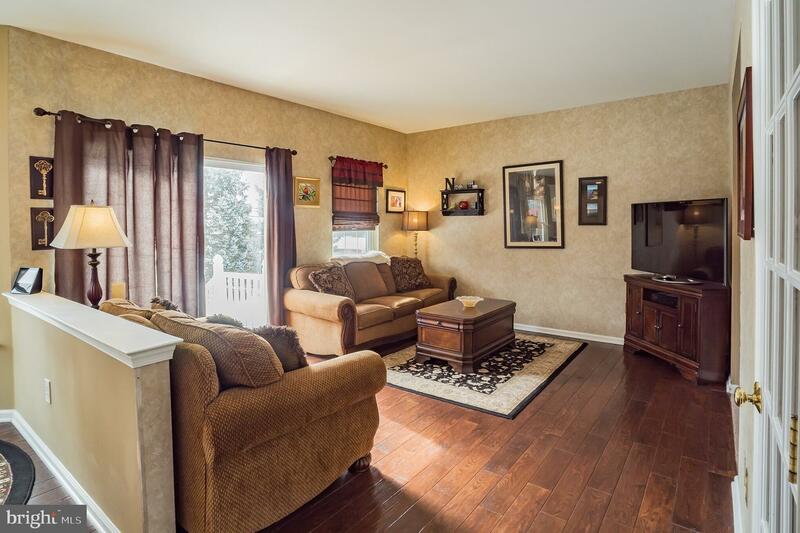 The kitchen is open to the cozy family room with doors leading to the yard. 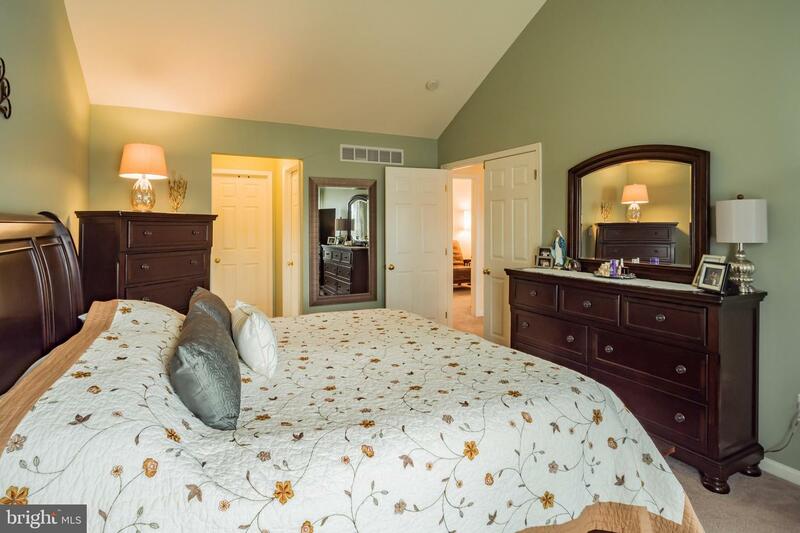 The second floor ha an elegant Master Bedroom with high ceilings, two walk in closets and a Master Bathroom with a Jacuzzi tub. 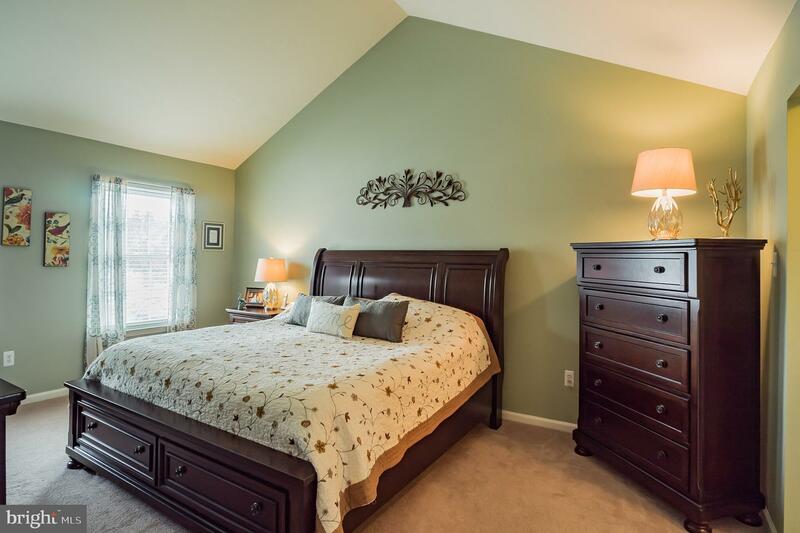 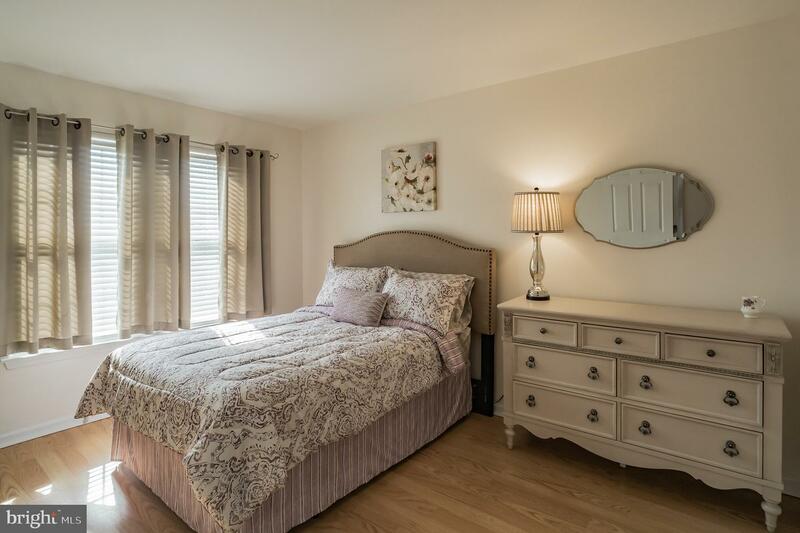 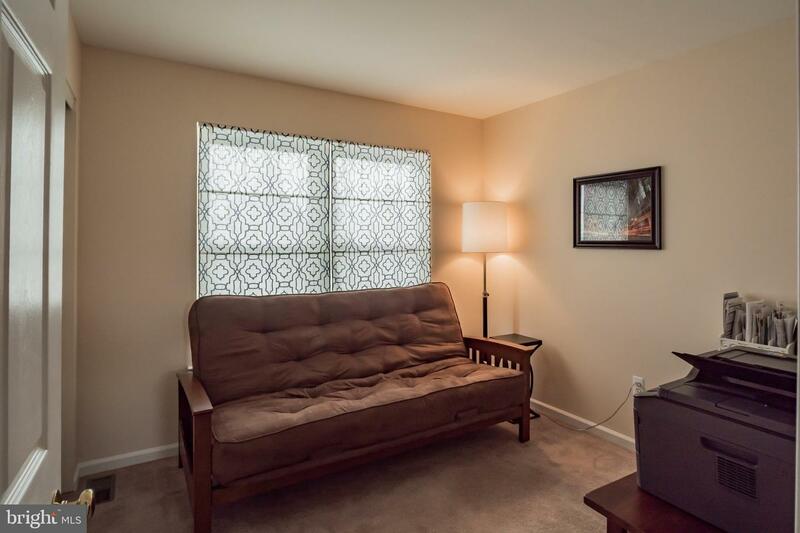 Three other ample size bedrooms with large closets and a full bathroom in the hall complete the second floor. 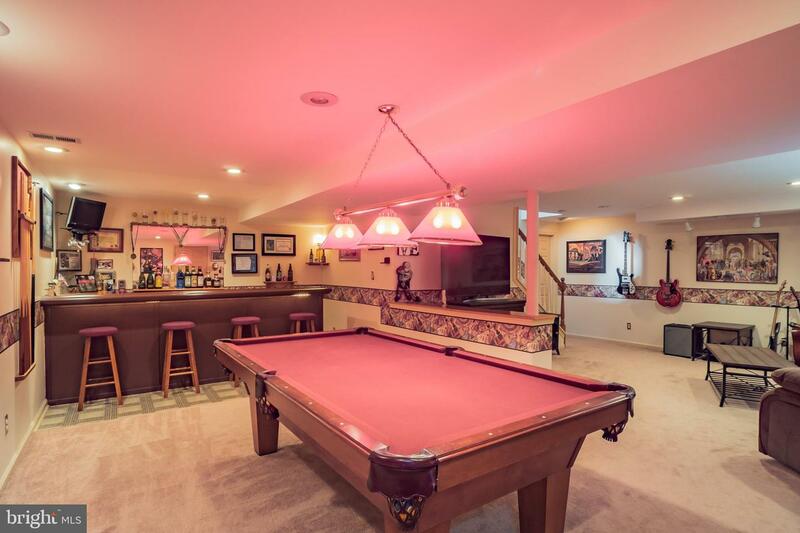 Another one of the many impressive features of this home is the finished basement, There is a large sitting area, a game area and a beautiful handmade bar to entertain your guest. 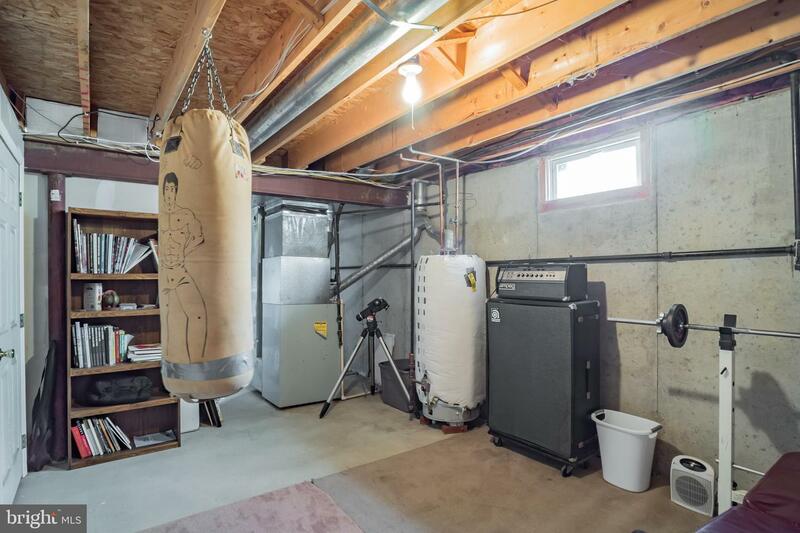 It also has a large storage area and another unfinished room for gym equipment. 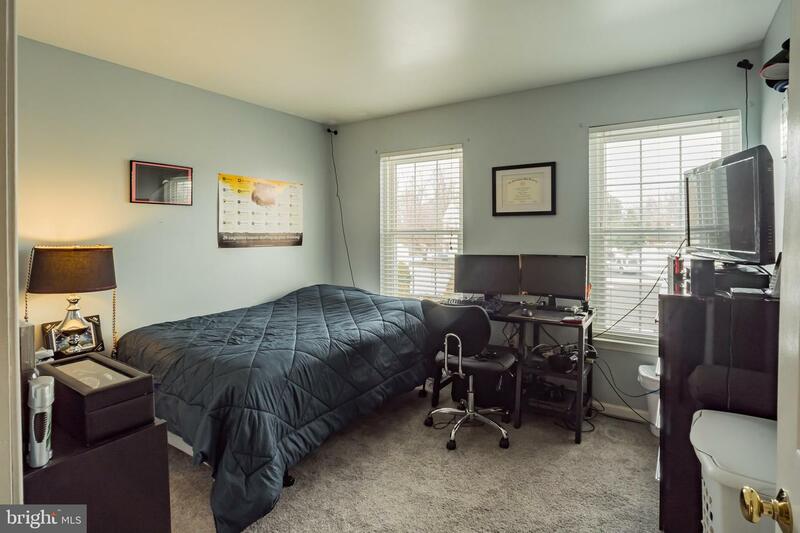 You won't want to leave this room. 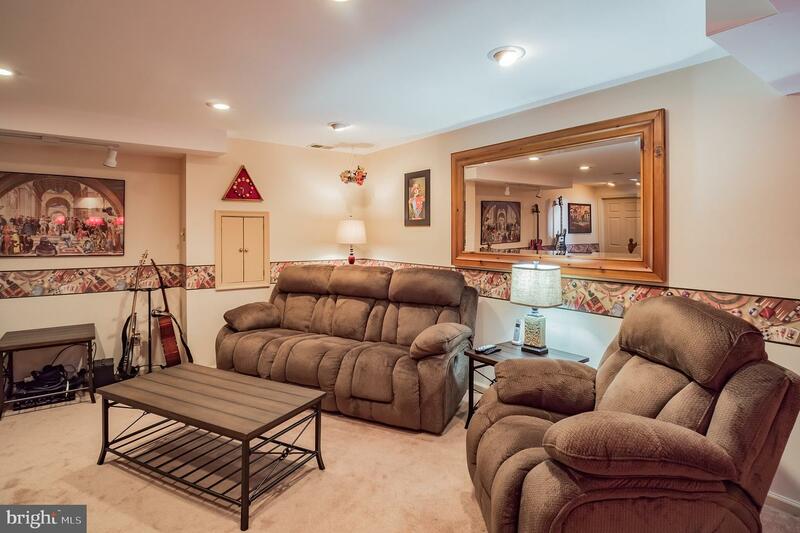 Outside there is a wonderful in ground pool, hot tub, and a large patio with space for grilling and serving. 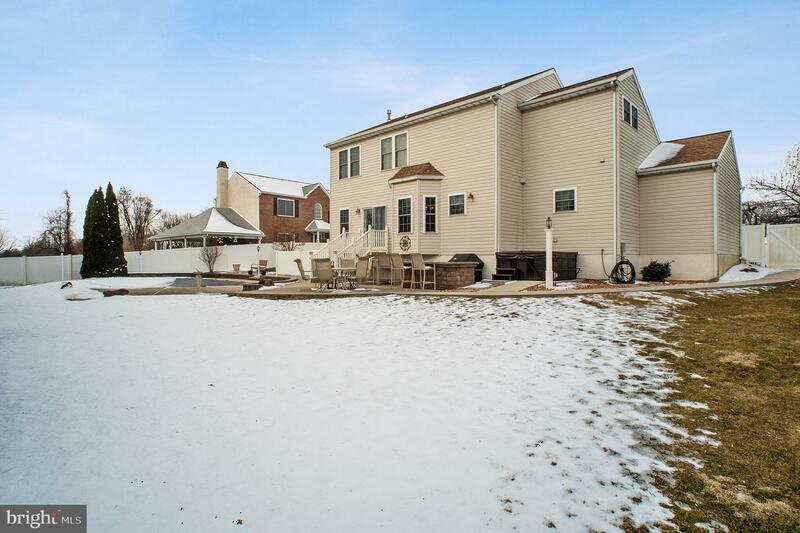 and a large storage shed. 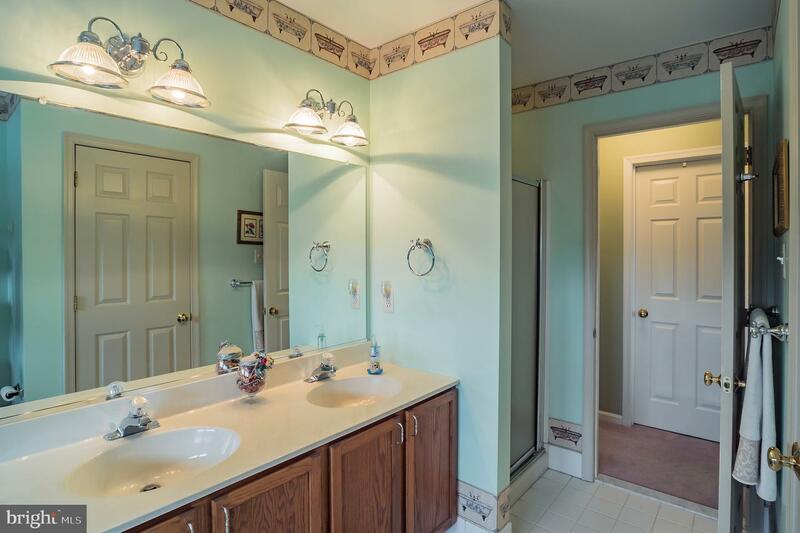 Many improvements were done within the last four years. 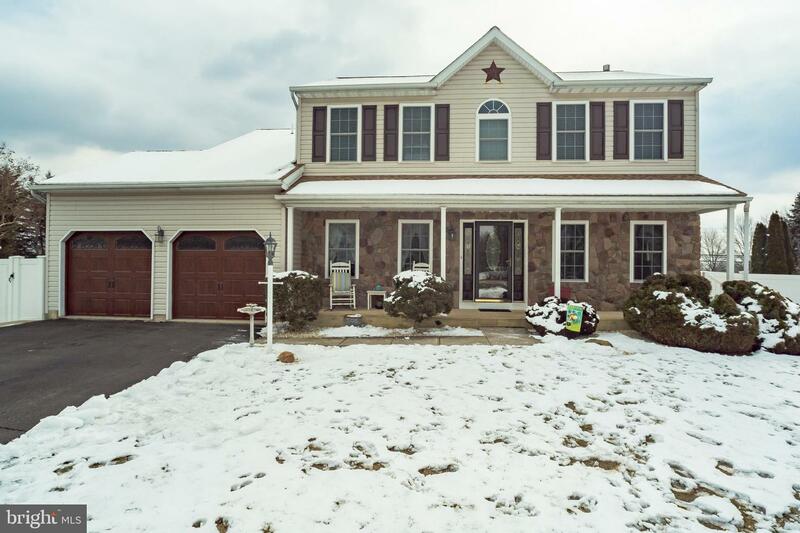 New roof, new windows, new kitchen,laundry room, full bathroom and powder room, hardwood floors and windows throughout.